The world’s expectations for a hero have perhaps never been lower. Which brings us to the steer. It’s like a normal steer, but bigger. 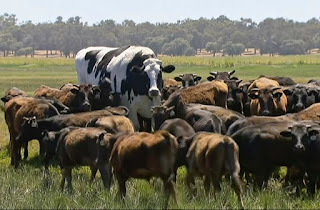 It’s a very big steer. 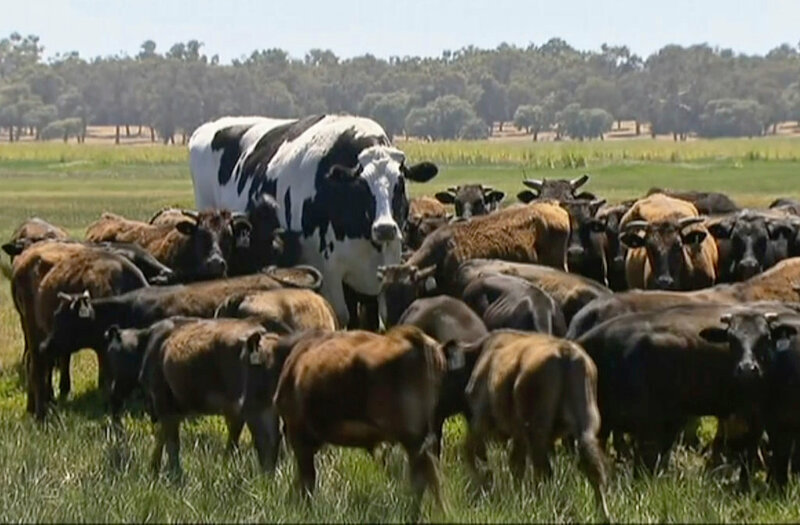 The very big steer is, according to the nearly unanimous acclaim on social media, a hero. At 6 feet 4 inches tall and more than 1.4 tons (2,800 pounds), it is roughly the height of Dwayne “The Rock” Johnson but weighs about 11 times more. "The world’s expectations for a hero have perhaps never been lower." Really? What on Earth is the world expecting? Flying superman/woman? Boys shooting webs from their wrists and bouncing off skyscrapers? A rich kid dressed in black kevlar and a bat cape with a partner in green tights? (I'm pretty sure those those two were gay). What about firemen who die fighting fires? Doctors and nurses working night shifts to save lives? Policemen who risk theirs in the call of duty? Teachers who dedicate their entire lives and working long hours in and put of school to give thousands others a better chance to do something they love? All these people doing the good fight, day in day out, despite all mighty governments' persistent efforts in making their life much harder than it could be? Maybe "the world" should expect less and appreciate more to see how many heros it already has. I don't get it... Oh well... Dumb me. Article doesn’t say if the animal is naturally large or a natural mutant or genetically modified. Your hero riff reminds me that there are people that are bigger and stronger than most others. Athletes, Special Forces Officers, and Firemen come to my mind first. While in the past heroes were usually skillful warriors, these days heroism has nothing to do with size or strength but with bravery, the willingness to sacrifice oneself for the benefit others.